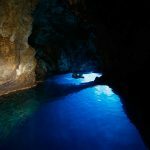 One of the most unique natural phenomena in the world, the Blue Cave on island Bisevo in Croatia will be a highlight of your holiday. 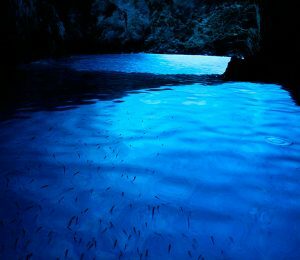 With its silvery-blue color, created by light refraction of sunlight entering through a crack in the stone, it leaves nobody indifferent. It wasn’t until recently that the cave was open for public and it has been a must-see location ever since its opening. If you’re planning to visit Croatia’s coast in summer time one of your „one day getaway“ should definitely be one of Dalmatia’s islands. Whether you are looking for serenity or you are under party fever in Split’s archipelago you can tailor made your ideal holiday. In this post we will guide the ones who are looking for natural wonders over the loud beats on party beaches. 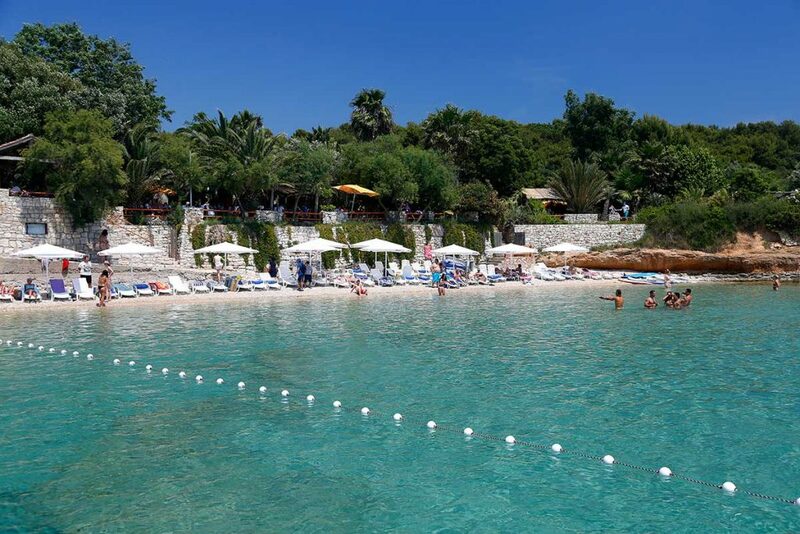 Lets start with the assumption that you are accommodated in the most popular town in Dalmatia – Split. 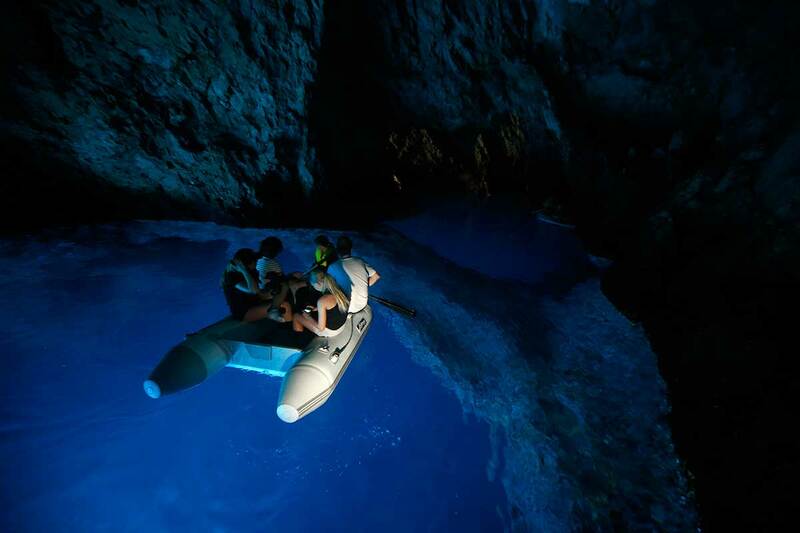 After exploring town centre, Diocletian palace, Marjan hill, numerous beaches, bars and shops No 1 on your „what to do list“ should be definitely visiting the Blue cave! Where is that Blue cave on map of Croatia? Now take a map of Croatia (you can get it free of charge in any tourist info office and on most of hotel/hostel/private accommodation receptions) and cruise between the islands, there are thousand of them. 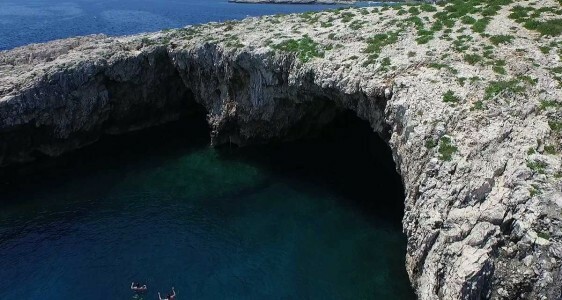 Just to let you know, if you are doing your research via internet don’t be confused, there is one small Blue Cave in other part of Croatia, on island Cres (northwestern part of Croatia) but we will write about it in some other article. 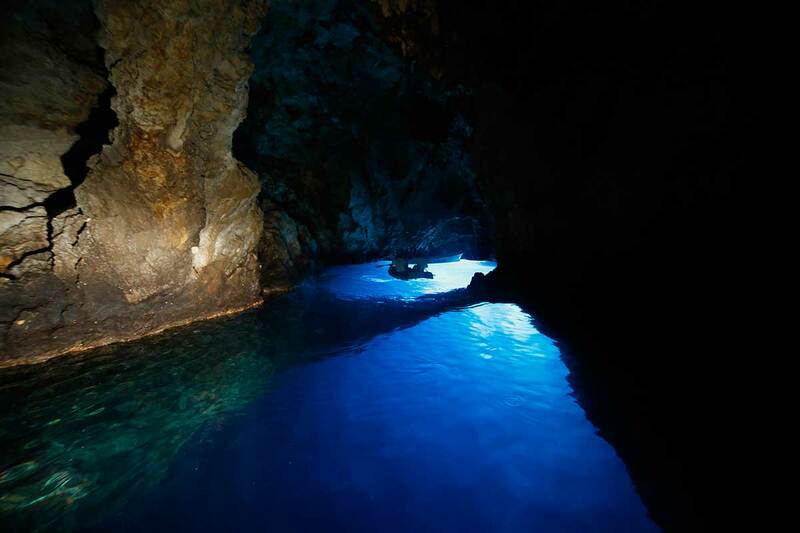 Now back to the Blue cave in southern part of Croatia…. 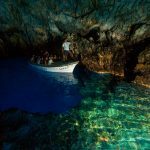 Closest island to Split is island Šolta, than Brač, than Hvar, than Vis and than finally small island southwest from island Vis is islet Biševo and that is a home of this natural wonder – Blue cave. 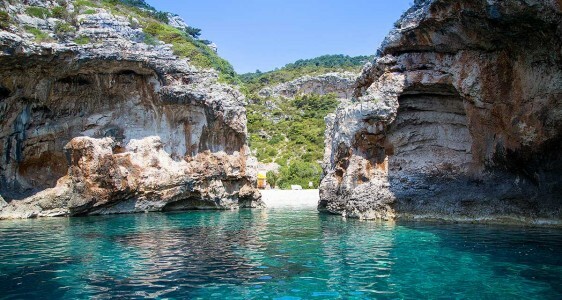 Don’t be concerned if it looks too distanced, choose the most convenient way which is a speedboat tour that leaves from Split and you will explore many wonders in just one day. 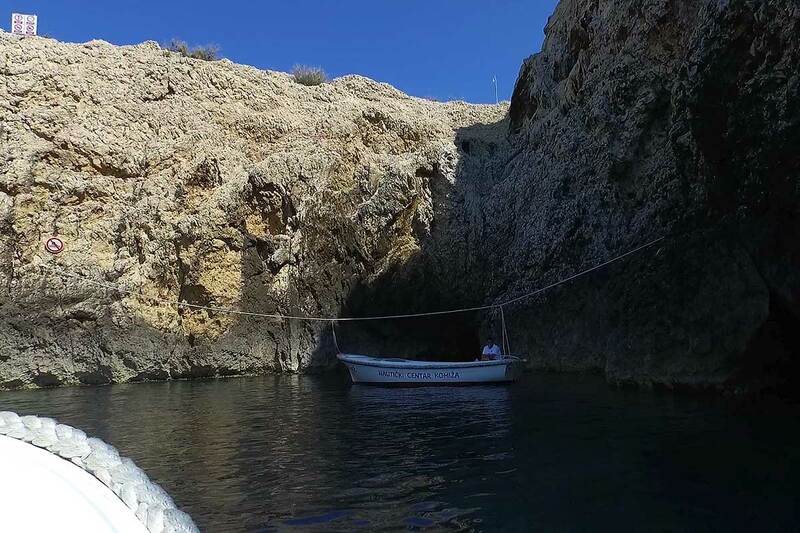 It takes around one hour and forty five minutes to get to the Blue cave with speedboat but don’t think of it as a long ride, it is just a great way to explore beautiful island coasts on the way. 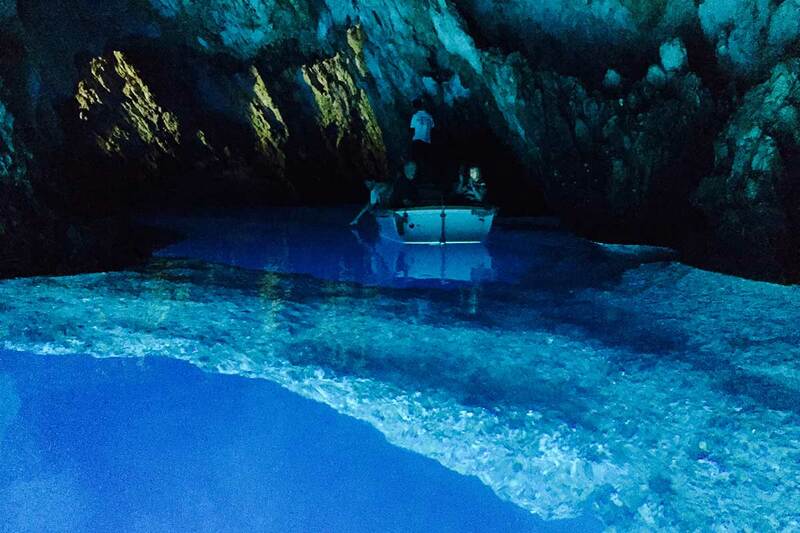 So whats all that fuss about Biševo Blue cave ? 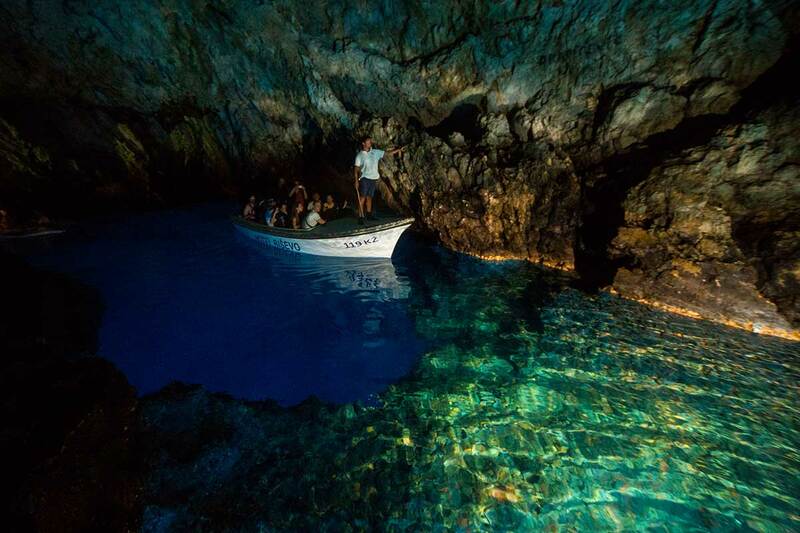 When you arrive on island Biševo you will get of the boat, skipper will give you your entrance ticket for the cave and you are ready to move on. You will notice small wooden boats which will take you inside. Entrance is really small so at one moment you will have to crouch in the center of the boat while sailor takes you inside. 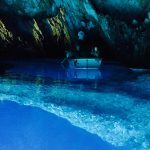 Blue Cave tour is one of our most popular tours from Split and one which provides the most value for money. 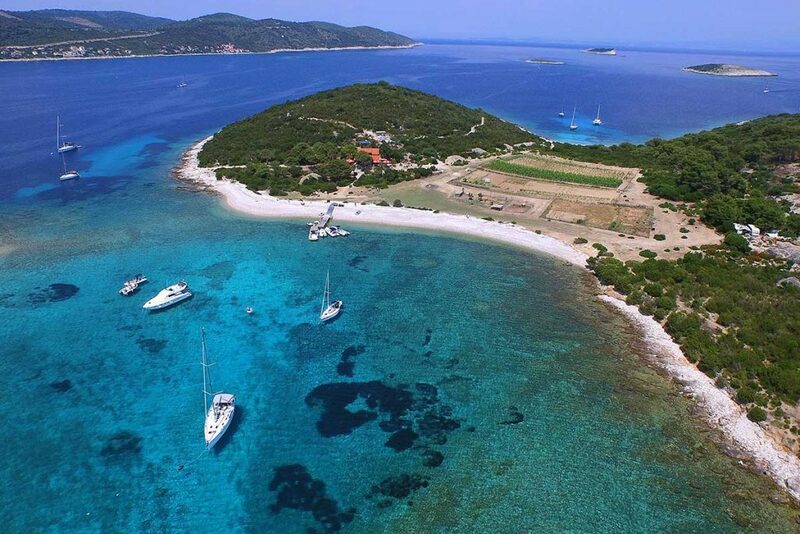 On this full day speedboat tour you will go on island hopping adventure across 6 Split islands. 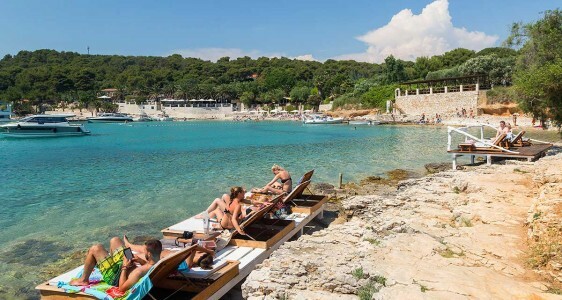 There will be plenty opportunities to swim and snorkel in the crystal clear sea, taste authentic cuisine and to sightsee one of town Hvar, popular vacation destination. 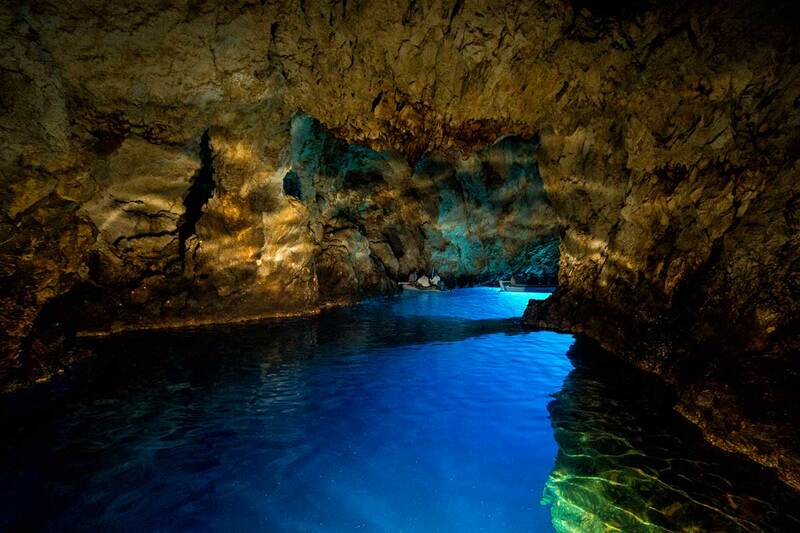 Prepare yourself for Blue Cave and Hvar tour from Split with our in depth travel guide. We have covered what, where, when and how! 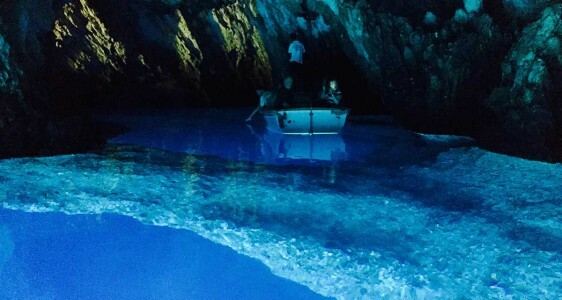 „One of the most unique natural phenomena in the world, the Blue Cave will be a highlight of your holiday. With its silvery-blue color, created by light refraction of sunlight entering through a crack in the stone, it leaves nobody indifferent. It wasn’t until recently that the cave was open for public and it has been a must-see location ever since its opening. 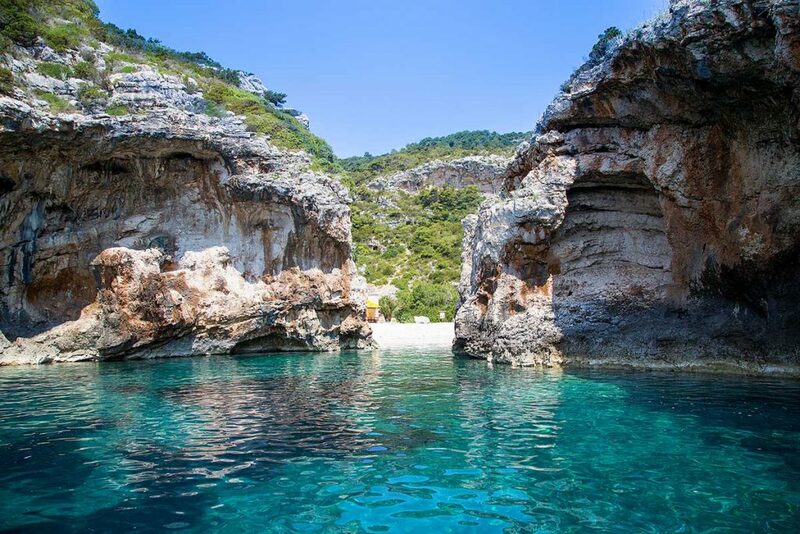 Unfortunately we cant stay inside too long and it is also not allowed to swim there but with impression in your mind we move on to our next stop which will make you wanna move to one of the islands in Croatia. 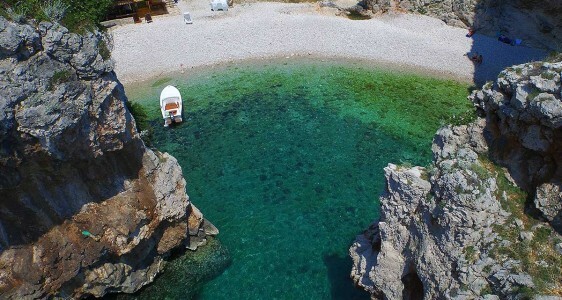 Stiniva cove on island Vis is one of those places that will make you feel so small in this world. It is difficult to spot it for many skippers but our experienced staff will take you to throw a glance on that hidden peace of heaven. 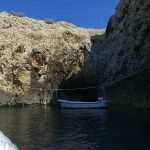 It is believed that it was created many many years ago when one huge cave collapsed so now, thanks to that two huge cliffs that are closing the cove it feels like you are entering Roman amphitheatre. 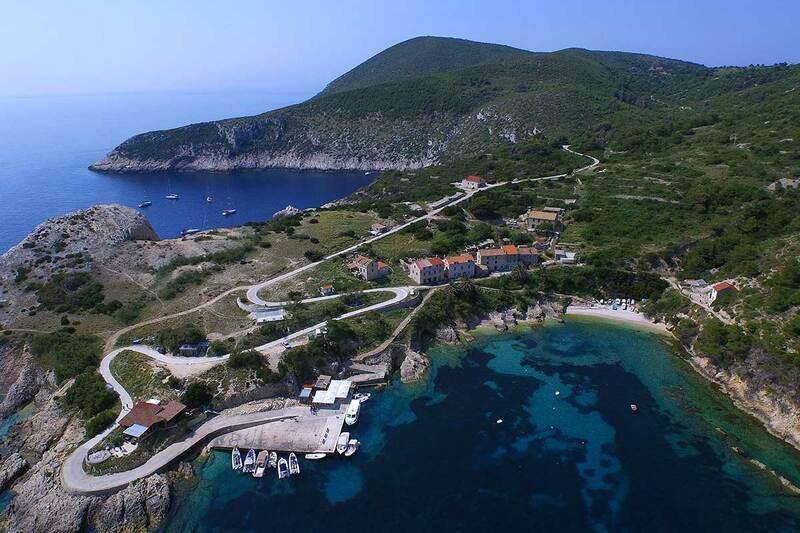 No wonder that its been protected as Croatia Natural monument since 1967. If you still have that Croatia map don’t try to bother finding our next stop. 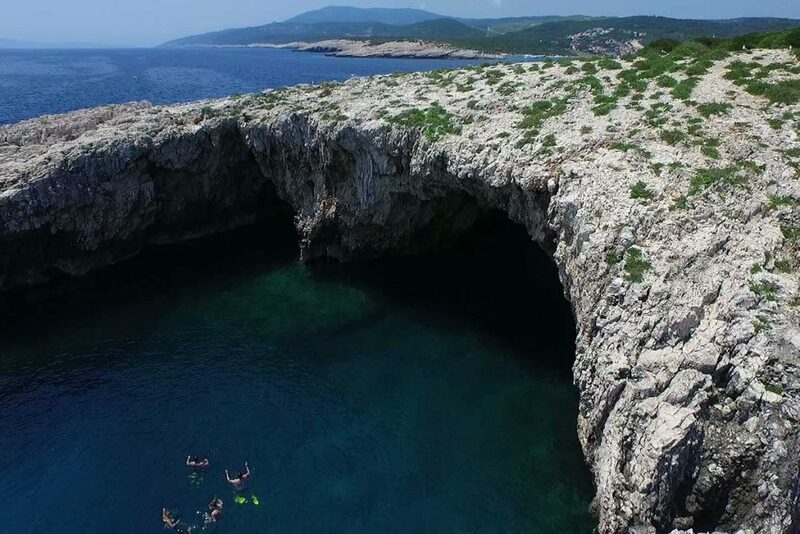 Even some Croatian people don’t know that Green cave is not on popular island Vis Its actually on islet Ravnik, really close to Vis. 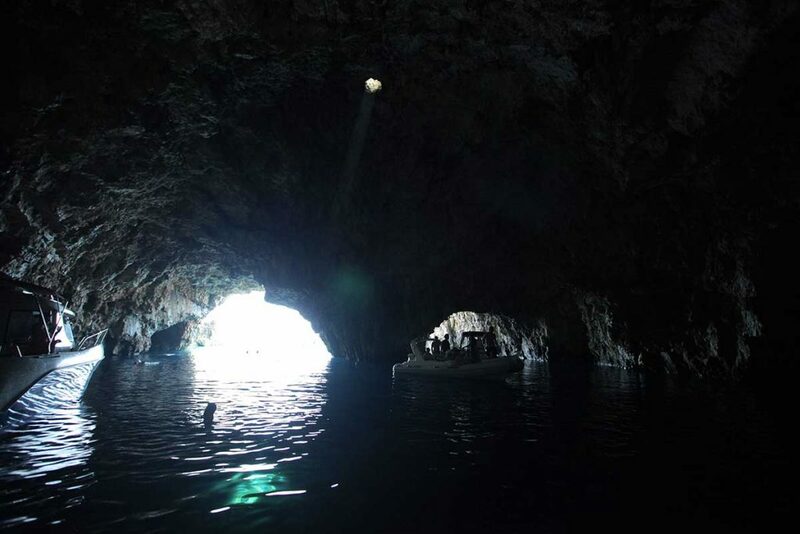 Green cave has two entrances big enough to go inside with our speedboat. 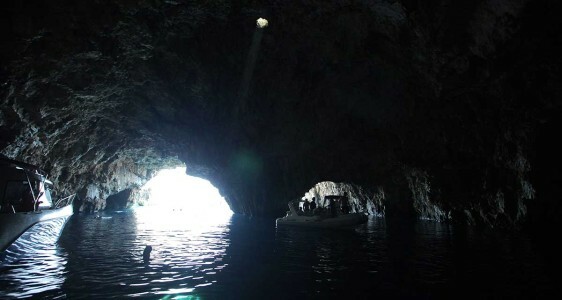 On top of the cave there is a hole which enables sunlight to enter inside. 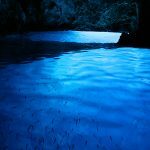 It is amazing to swim under that light. You can borrow snorkeling mask on the boat and discover this green underwater world. 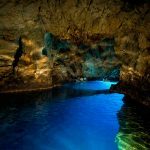 Because of the administrative changes in Green Cave operations it is now only available to visit the cave as a part of private tour to Blue Cave. 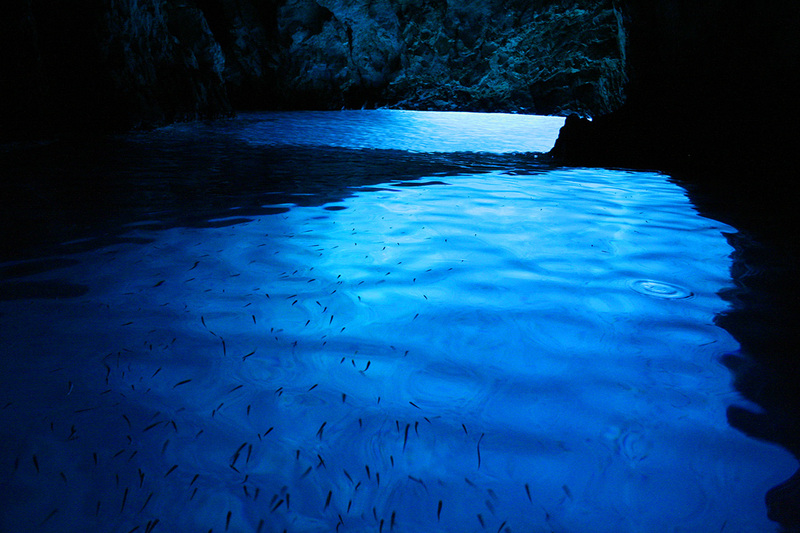 Monk Seal Cave of Bisevo island is the largest cave of the archipelago. As opposed to Blue Cave, Monk Seal cave is not as popular but is not less attractive. 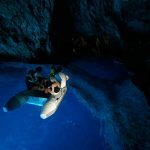 Going deep 120 meters inside the island it takes an adventurous spirit to explore this cave in it entirety. 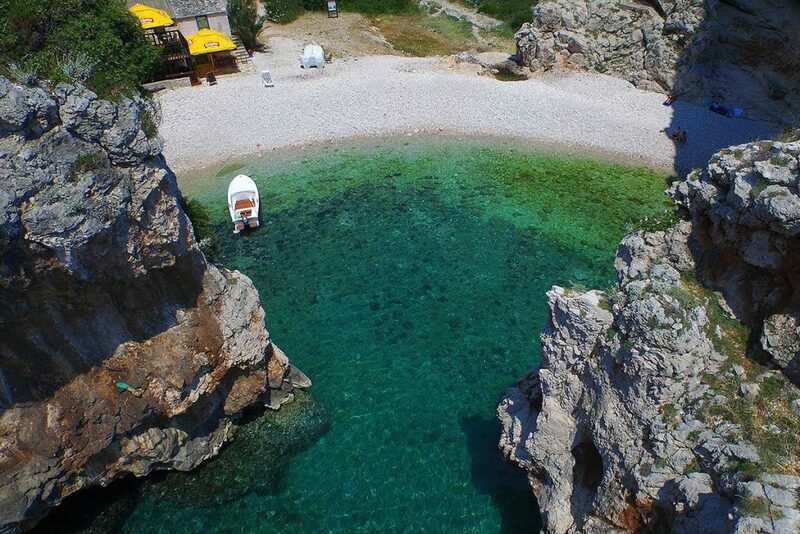 If you liked swimming in emerald green sea you will love our next stop. 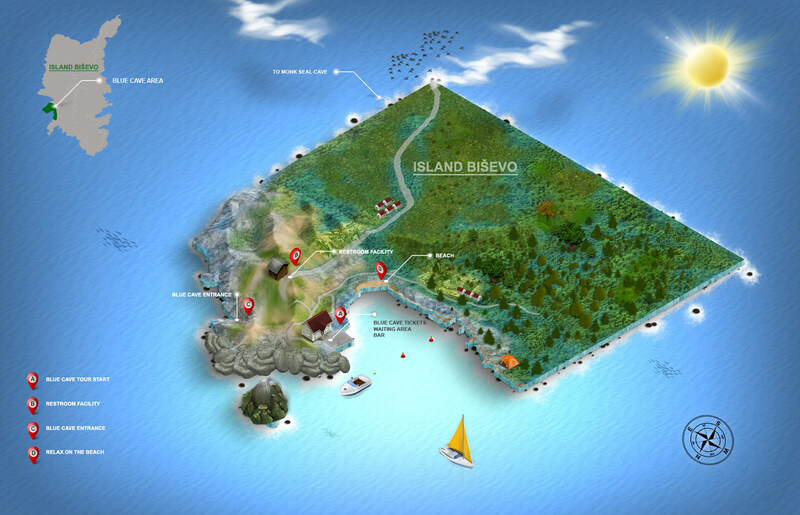 Small unpopulated island Budikovac will make you feel like you are in some tropical paradise. Sea bed around the island is white so the sea gets turquoise color. You don’t even need a snorkeling gear to explore underwater world. Take a swim break there you will love it! 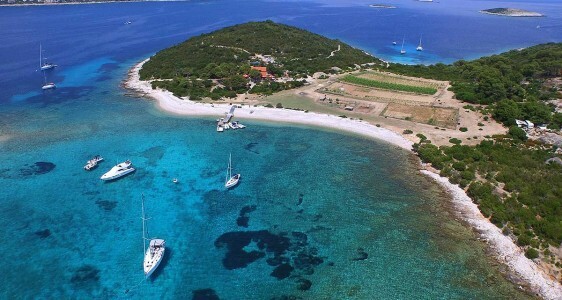 After this colourful gems we are moving to somewhere completely different; group of islands called Paklinski (named after a pine resin that has been used in shipbuilding) and its most popular bay Palmižana. 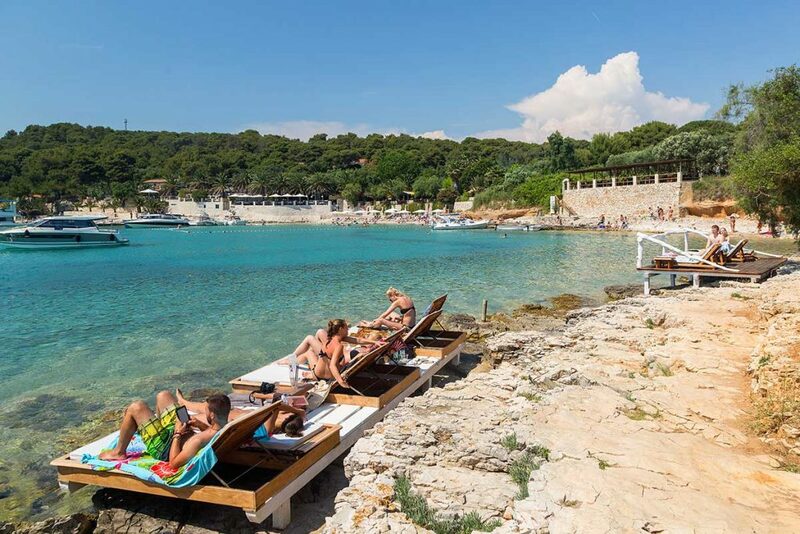 Lounge bar, few restorants, nice music, pine forest…all that makes perfect combination for your longest break on this Blue cave and Hvar tour. Try some sea food, octopus salad, domestic cheese with almonds and honey, figs, Croatian wine…indulge yourself and feel like royalty during your vacation in Croatia. Last stop is probably the most popular one. Although many visitors think its overcrowded but it is still must see destination. Town Hvar on island Hvar is historical core of the island. 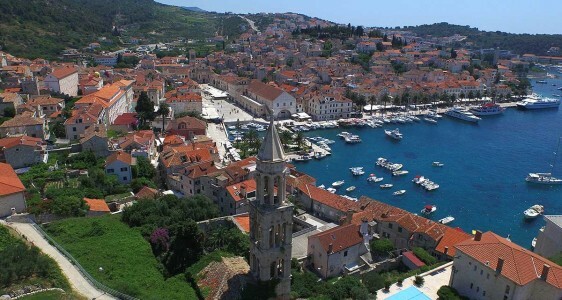 Origin of the name Hvar is greek word Pharos that means lighthouse. 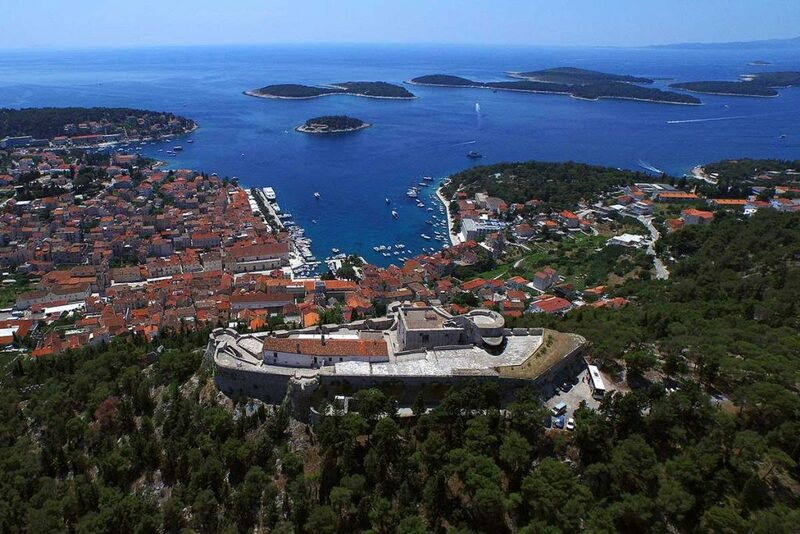 Last few centuries history shaped island Hvar wich made it a proud home of its three UNESCO protected values. Let our guide tell you the story about lace made out of aloe vera’s core threads, Stari Grad plain and Procession Za križem. This short stop you can also use to have ice cream or coffee on main city square or visit Cathedral of St. Stephen on eastern side of the square. 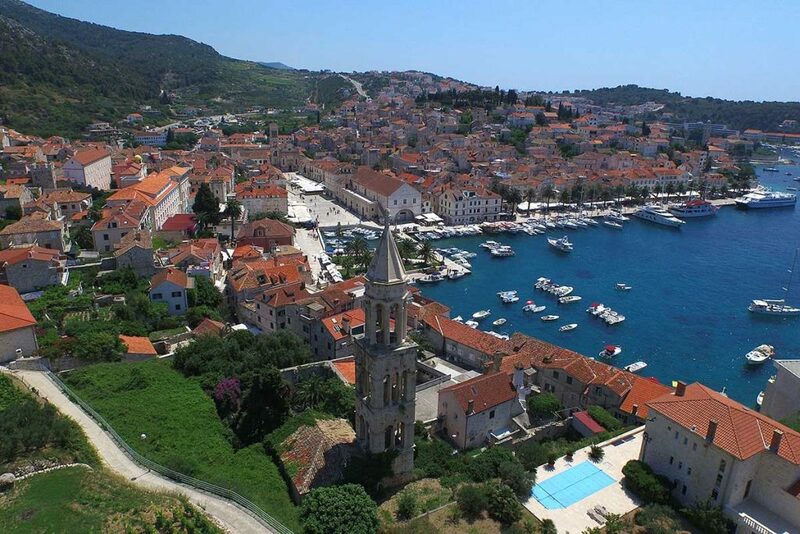 Interesting fact about Hvar is that it is a home of Arsenal – first municipal theatre in Europe. It is difficult to find in any European theatre that well preserved wall scenography as you can see in Arsenal. 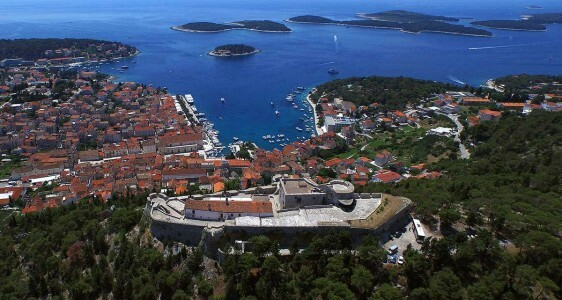 The most visited historical site in Hvar is Fortica, fortress on the small hill above town Hvar. 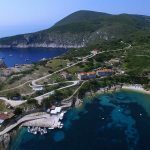 If you climb up you can take the most beautiful panoramic photo of Pakleni islands. Trust us, it is worth walking up there. And now after this long but amazing day we are heading back to Split. Timing is perfect, sunset and nice cozy temperature. Lots of people think that the best view of Split is when you are entering harbour while last rays of sunlight are falling on the Diocletian palace. Tell us are they right? We are taking you for a visit to this extraordinary cave at the perfect time of day to enjoy its light show – between 11 and 12 am. Join us for a boat ride and prepare yourself to be amazed!